The crash occurred along Highway 99 South when the sport-utility vehicle (SUV) carrying the two occupants drove into the center divide just north of 47th Avenue in Sacramento. California Highway Patrol (CHP) officers were told by witnesses that the SUV was traveling at a high rate of speed. The CHP said that the SUV first clipped a Toyota Camry before crashing into the median. The driver of the SUV was critically injured and later pronounced dead at a local hospital. A female occupant in the SUV, the wife of the driver, was ejected and killed. The driver of the Toyota Camry received minimal injuries. 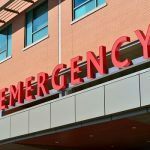 Auto Accidents as a Result of Suffering a Medical Emergency? Officers indicated that the driver of the SUV may have been experiencing a medical emergency at the time of the crash. Many are led to believe that medical emergencies such as heart attacks can excuse a motorist from accepting liability for the auto accident. 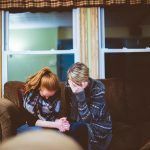 In actuality, this is dependent upon whether or not their doctor knows of the condition and the actions someone has taken to control such a condition. For example, if someone was given medication for a heart condition, but fails to refill their medications then they may be found negligent for not following their doctor’s orders. Similarly, if someone has epilepsy and the doctor fails to take them off the road, the doctor may be found negligent. Hello. 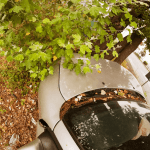 I’m Ed Smith, a South Sacramento Auto Accident Attorney. I have assisted clients with their automobile accident and wrongful death cases in South Sacramento and throughout Northern California for over thirty years. If you or a loved one has been injured or killed due to the negligence of another individual, please call me right away at (916) 921-6400. Or, call me toll free at (800) 404-5400 if you are calling outside of Sacramento. It is extremely important to investigate customer reviews of any business you plan to hire. Learn more about the experiences my customers have working with our law firm on Avvo, an attorney rating site. Check our many client reviews here: Google and Yelp. The Edward A Smith Law Offices has implemented one of the best auto accident and personal injury websites available. 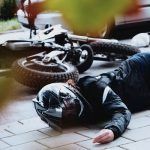 You can log on to our website at www.autoaccident.com. Member of Million Dollar Advocates Forum. Members of this forum have won multiple million dollar settlements and/or verdicts for those they represent. Photograph Attribution: Wikimedia Commons [Public Domain].